Send your next letter with a dose of nostalgia. The U.S. 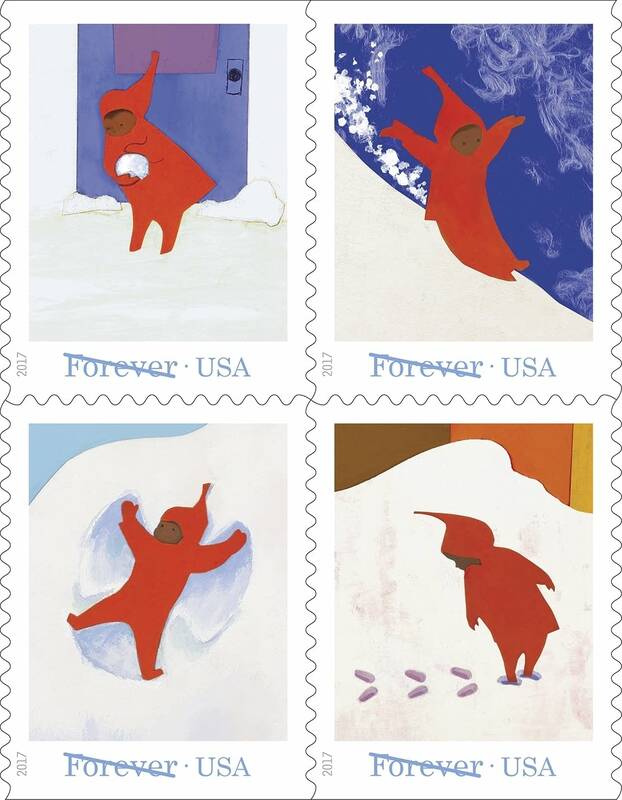 Postal Service has issued a new stamp in honor of Ezra Jack Keats' beloved children's book, "The Snowy Day." The stamps feature illustrations of the young protagonist, Peter, frolicking through the snow-covered city — rolling a snowball, making a snow angel and generally capturing the ageless excitement of a snow day. Keats' book was first published in 1962, and it was one of the first widely released children's books to feature an African-American character. It went on to win the Caldecott Medal, sell millions of copies and inspire a play of the same name. "Before this book, children of color — African-American children, in particular — saw very little representation of themselves in picture books," U.S. Postal Service Government Relations and Public Policy Acting Executive Director Roderick Sallay said in a press release. "And then came Peter. A young boy who awoke to find the world outside his window blanketed in snow, and who couldn't wait to get outside and play. Through Peter, children of color found a positive representation of themselves, which instilled a sense of pride and self-acceptance. One that said, I both fit and I belong." Keats went on to publish six more stories starring Peter. He died in 1983. The "Snowy Day" stamps were unveiled at a ceremony at the Central Library in Brooklyn on Wednesday, and are now on sale.